March 21. Spring is finally here. It’s the vernal equinox; days are now longer than nights. 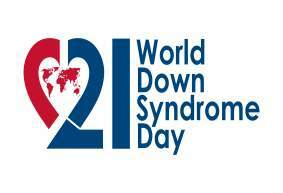 And Saturday, March 21, is World Down Syndrome Day. This special day is to raise awareness and highlight the many positive qualities of people with Down syndrome, as well as to increase public understanding and civil discourse. This year will mark the 10th annual World Down Syndrome Day, the fourth since was recognized by the U.N., in 2011. Across the world, people with Down syndrome, their families, friends, teachers, co-workers, and supporters will be observing this special day. March 21 is symbolic: as the 21st day of the third month, it represents the third copy of the 21st chromosome that characterizes Down syndrome. In the U.S., the National Down Syndrome Society (NDSS) provides a wealth of information via its Web site and social media. With facts in hand, it’s time to dispel myths and misconceptions of Down syndrome For example, Down syndrome is not a rare disability. It is not hereditary. It is not more common among older parents. People with Down syndrome do not have short lives. Children and adults with Down syndrome do not have severe cognitive delays (and we must never use the R-word). People with Down syndrome can share their Great Story online to inspire and inform others. NDSS is seeking 21 people with that extra copy of the 21st chromosome to join Team NDSS21 in a fundraising spectacular. 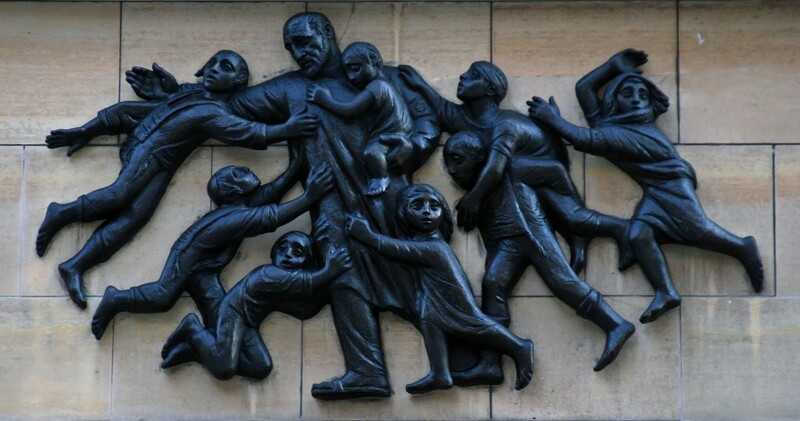 Janusz Korczak was a pediatrician who gave up a potentially lucrative practice to found an orphanage for the children he loved. And the children loved him; the nickname they gave their mentor was “Mister Doctor.” In this book by the same title, his story is told from the perspective of one of the orphans—who could be any of the orphans or all the orphans. The book opens with the last days in final period of the famous orphanage on Krochmalna Street; the Nazis invaded Warsaw on September 1, 1939, and shortly thereafter ordered the city’s Jewish population into the Warsaw Ghetto. The journey is one fraught with darkness and fear, as shown by the somber illustrations showing barbed wire. They walk past the house of horrors they know as the Black Palace. (I believe the author was referring to the infamous Pawiak Prison; I doubt the children actually passed that landmark, as it was on the opposite side of the Ghetto. However, the episode adds literary value to the narrative.) The horrors of the trek are in marked contrast to the soft, warm hands of Doctor Korczak and illustration of his favorite fairy tale character, Puss in Boots, bounding over a barbed blockade. The most poignant part of the life of Janusz Korczak is the final march, which has been remembered in diaries, poems, movies, and statues. In Mister Doctor, the last walk is portrayed in a beautiful fold-out. But the story does not end there; the Rights of the Child would be taken up by the U.N. and given global stature. Perhaps little Henryk’s canary wasn’t buried after all. Perhaps he flew up into the heavens. Mister Doctor is a picture book, but with the amount of text on each page, it is more suitable for older children to read on their own. The illustrations are beautifully executed and complement the narrative perfectly. The book is a little pricey, but the quality of materials is exceptional; it is issued in a library binding. Clearly, this is a book to be kept and treasured. It is curious that Mister Doctor is also available as an e-book. I fear an electronic medium would not do justice to the work of art this book is. The title is noteworthy, as it is the same as the first Polish biography, the one written by Hanna Olczak, who knew Korczak and Madame Stefa personally. 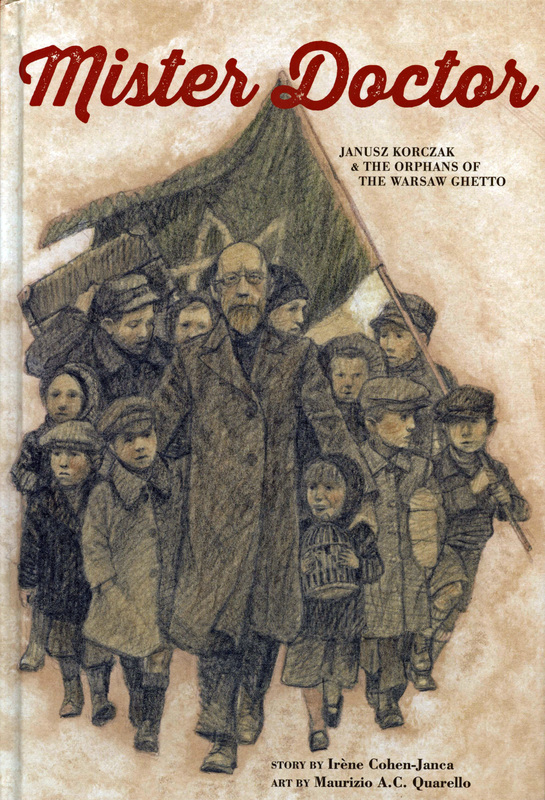 A two page biography of Janusz Korczak puts the narrative in perspective; that, along with a short bibliography, will help students doing a book report—or a report on Mister Doctor himself, to pass his legend on.